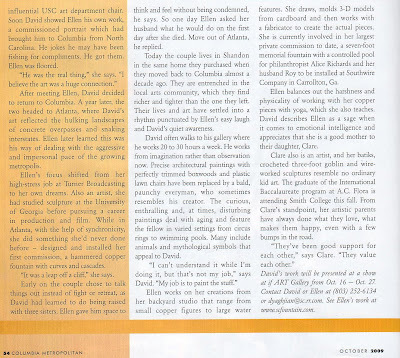 The following image and article appeared in the October issue of Columbia Metropolitan Magazine. 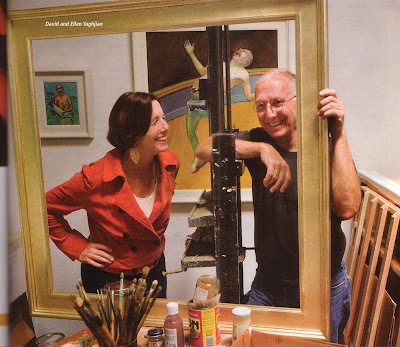 The article, “Complementary Pairs” was written by Robin Cowie Nalepa and featured photography by Jeff Amberg. 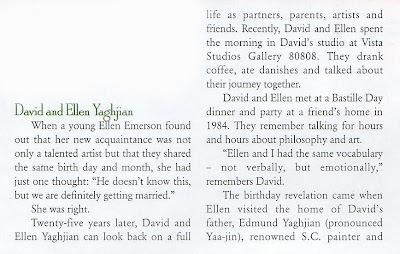 Two other couples were included….but this blog post is only about Gallery 80808/Vista Studio artist David Yaghjian and his lovely wife Ellen. Click on the images to enlarge…and to read the text!